Rebecca Minkoff mini mac In great condition! 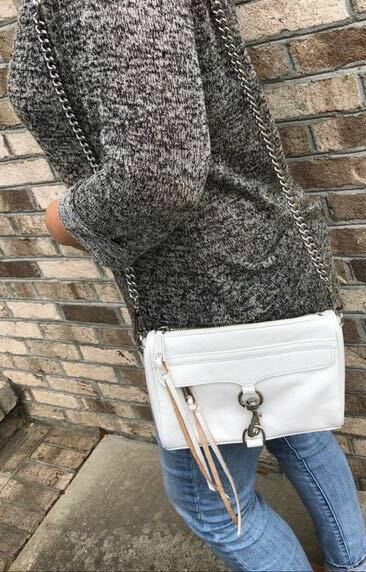 A beautiful crossbody/shoulder bag. Silver hardware and genuine leather with adjustable chain strap. Bright white color, scratches are pictured.